Rugged workwear, well-made to strict Belgian specs. 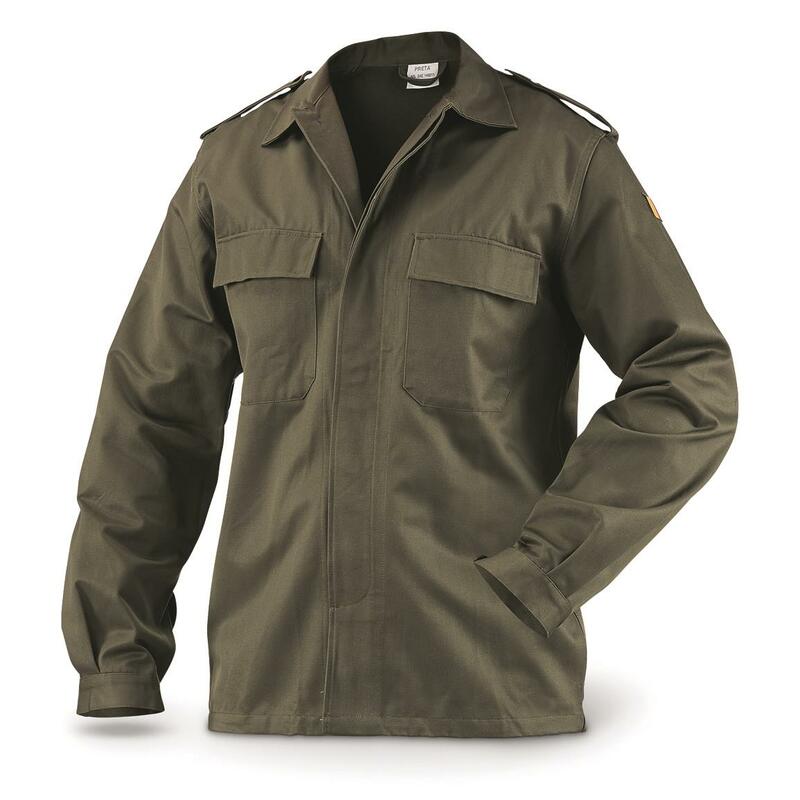 Long sleeves provide excellent coverage against dirt and debris. Covered buttons offer extra durability for mechanical work. You get 2 brand new Shirts, ready to go the distance on your next mission. Belgian Military Surplus Field Shirts, 2 Pack, New is rated 4.0 out of 5 by 4. Rated 5 out of 5 by Tom Catt from Good value These gonna last a long time, well made and comfortable too. Rated 4 out of 5 by Monte from Very nice looking Belgian 2. pack shirts, but ? I really like these shirts from Belgium! But, thesizing is limited. I need a (XL) size. Rated 2 out of 5 by Bougalee from Better but a couple sizes larger than normal These were fine until I washed them, significant shrinkage. After washing unable to wear them. Rated 5 out of 5 by TheHammer from Size runs small Otherwise excellent value. Unfortunately, mine are too small and I’ll have to give them away..